In business, time is money. Anchor’s Convenience Services allow you to manage your finances easily, allowing you to focus on what you do best — running your business. Anchor Bank and Basys Processing services work together to give you the opportunity to process all forms of credit, debit, and gift card transactions for your business. Contact your nearest Anchor Bank representative to request a quote and service options. Make deposits anytime - You will be able to make deposits when it is convenient for you 24 hours a day, seven days a week. Deposit Consolidation - Funds from multiple remote locations can easily be combined into one financial institution. Reduce risk of check fraud - Faster check clearing will allow you to take action on returned checks sooner and increase your chances of recovering funds. Work more securely - Security includes password protection, internet firewalls and 128-bit encryption. Save time preparing deposits - Electronic deposits are more efficient which will free up time and resources for other tasks. Remote Deposit Capture could help you save time and cut expenses. To make remote deposit capture a key component of your business process call us toll-free (800) 562-9744 or visit a branch near you. 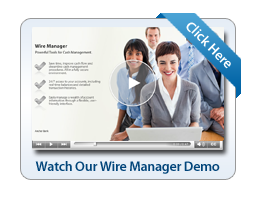 Wire Manager is a browser-based solution that simplifies wire origination and processing, so you and your staff can complete transfers more quickly and easily than ever. With the high cost of health care, an HSA plan is a great way to provide an affordable option for your employees. Let us put our years of HSA experience to work for you and free you up for more important things. ACH Manager makes online payroll simple and convenient--you may actually look forward to payday again! Online billing helps you reduce your A/R turnover and easily track your outstanding receivables. An Anchor Bank Retirement Plan can help prevent losing your profits to federal income tax. A Simplified Employee Plan (SEP) can help your employees save for their future while reducing your tax liability. Consult your tax advisor. Check account balances, make transfers, and get recent transaction information by calling 1-800-562-9744.